Nuprol Clear View is a specially formulated anti fog spray for use with all types of lenses and visors. Once applied it will leave a thin film of protection stopping condensation from fogging up the lenses. Nuprol Clear View is also an anti bacteria spary that kills germs and maintains a clean surface. Having clear vision helps you to perform at maximum level and avoid obstacles and hazards. You cannot hit what you cannot see! Spray onto a microfiber cloth. Wipe over lens surface and remove any excess liquid but leave a thin invisible film. - Safe on all lenses & metals. Comes in a 100ml pump spray bottle. 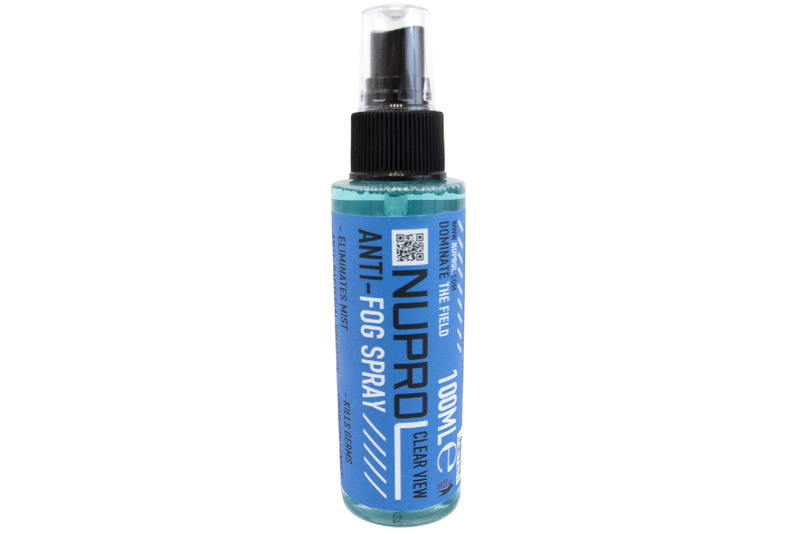 Nuprol Anti-Fog and Lens Cleaning Spray is safe for use on all plastic glass and metal parts.